Chef DeVivo’s culinary career started at his family’s restaurant, Scaldoni’s, in St. George, Utah. DeVivo concurrently worked at Scaldoni’s and commuted to UNLV to receive his culinary degree. Post-graduation he relocated and took a position at two different restaurants within the Bellagio Hotel– Picasso’s and Le Cirque. Drawing the attention from the chef at Alize restaurant on top of the Palms Casino, he quickly rose through the ranks to Executive Sous Chef. Relocating to Monterey after four years in Las Vegas, turned out to be the best thing for his family and career. DeVivo became the Executive Chef for two of Monterey County’s top restaurants, Casanova & La Bicyclette. It was challenging to be in control of sixty cooks, five sous chefs and two baking departments, but being a chef, he accepted all challenges. As his kids grew older, he decided to take a step back to spend more time being Dad instead of ‘Chef’. Relocating to Poppy Hills Golf Club in Pebble Beach furnished him the opportunity to put his personal stamp on Porter’s in the Forest Restaurant. 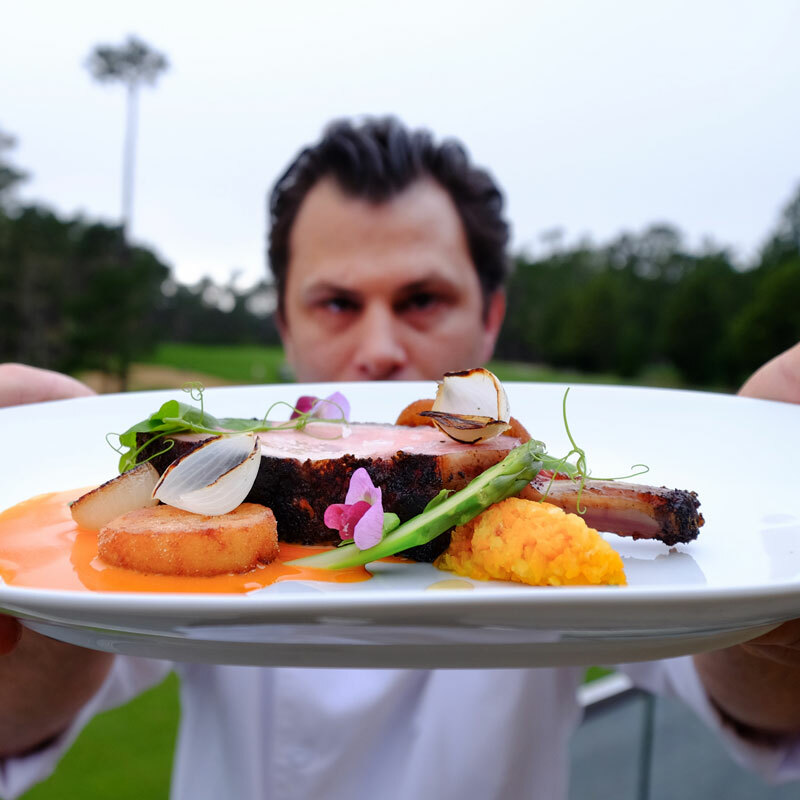 Not able to refuse a great offer, DeVivo recently moved to the South Bay where he is the Executive Chef of the new 70-million-dollar renovation at Rolling Hills Country Club. Rolling Hills is a food focused Country Club that overlooks the L.A. Skyline where Chef DeVivo will be once again, putting his signature delicious stamp on the food.